Looking back on the year of plants, I decided to choose two stand-outs for each month of 2017, and list them one quarter at a time, the same way I organize my plant photos. During the winter, I keep a few dozen plants taken from cuttings and other new plants purchased just for the house. Pelargonium 'Distinction' is pretty even without flowers. For January, 2017 there was Fuchsia 'New Wind Chimes Dark Eye', impressive enough for just making it to January, but it actually offered up a few flowers while little else was in bloom. 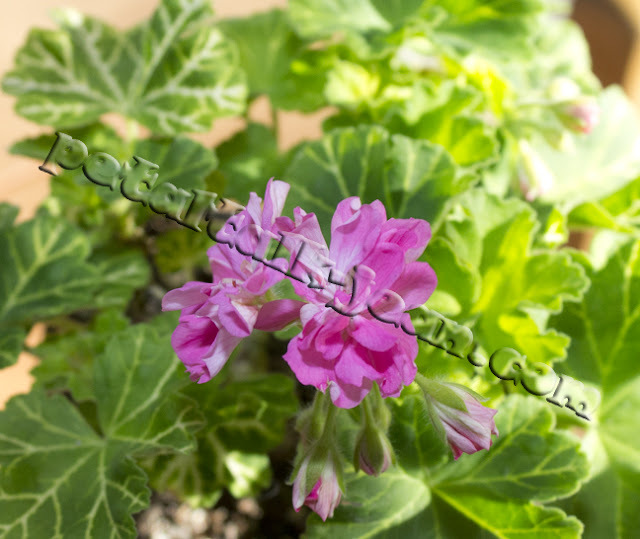 I can't seem to get enough Pelargoniums (commonly known as geraniums), especially the fancy-leaved varieties. Some will even bloom, lightly and sporadically just to keep things interesting during the cold, dark months. 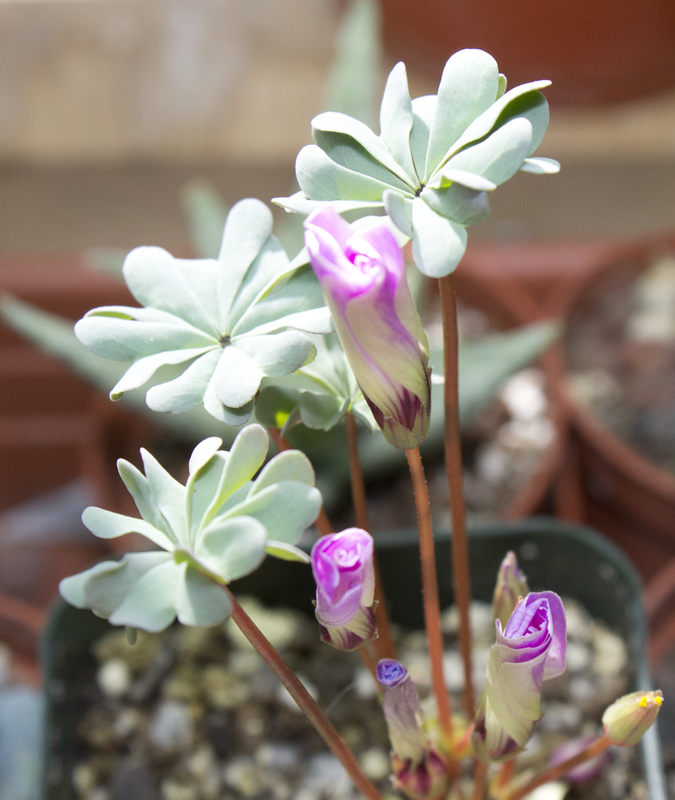 By February, a couple of little Oxalis (shamrocks) began to shine, producing leaves and flowers at the same time. My favorite is the species O. adenophylla, commonly known as wood sorrel. 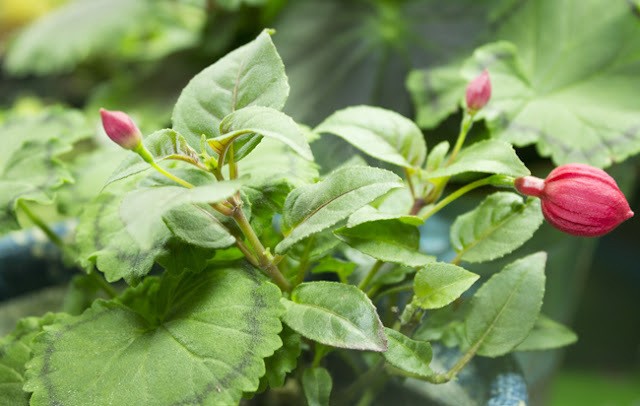 Although it is hardy, I can't imagine not planting where I can see it up close to appreciate its delicate-looking bluish leaves, which is the main attraction. Another Pelargonium continues to impress, even sending up a few blooming stems. It's called 'Mosaic Silky', which I'm guessing refers to the leaves and flowers respectively. The pale green leaves are etched in white; its double flowers a mid-pink with petals as ruffled as the bows on a little girl's party dress. 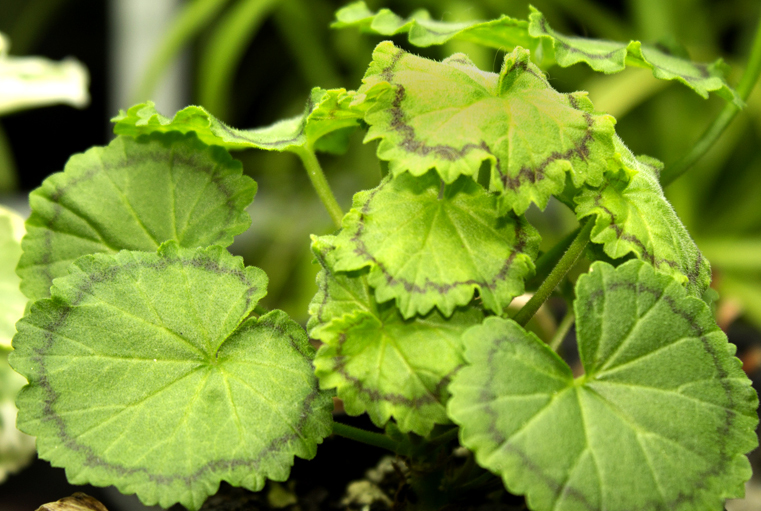 Pelargonium 'Mosaic Silky' has flowers as pretty as its leaves. March can be a frustrating month. You've pretty much had it with winter, but if you're lucky you might be rewarded with blooms as impatient to get going as you are. Such was the case in March, 2017 that my little pot of yellow rain lilies brightened up my days. 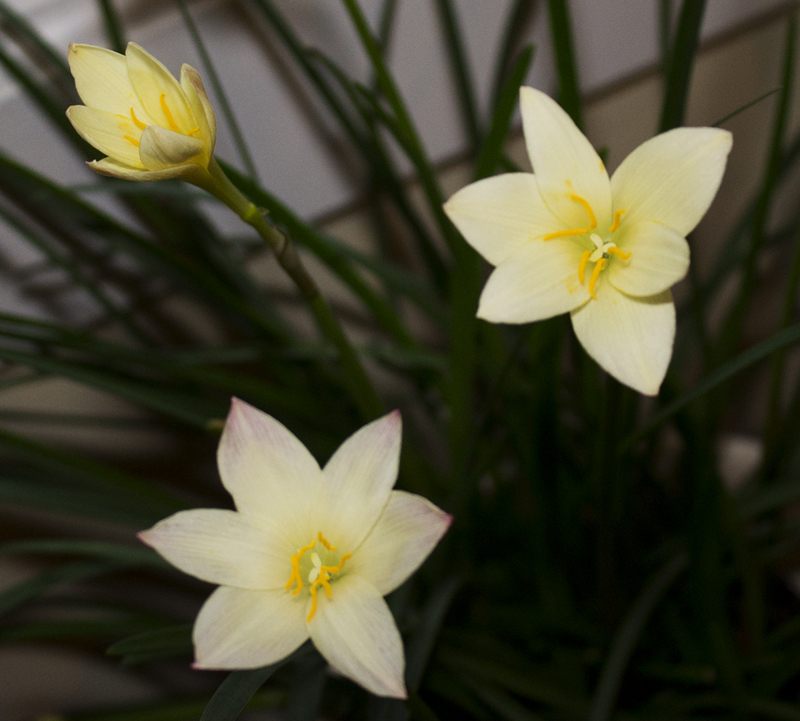 Easy to grow from a tiny bulb, these little guys put on a subtle show throughout the summer after I'd put it outside. leichtlinii subsp. alba looks better than it smells. 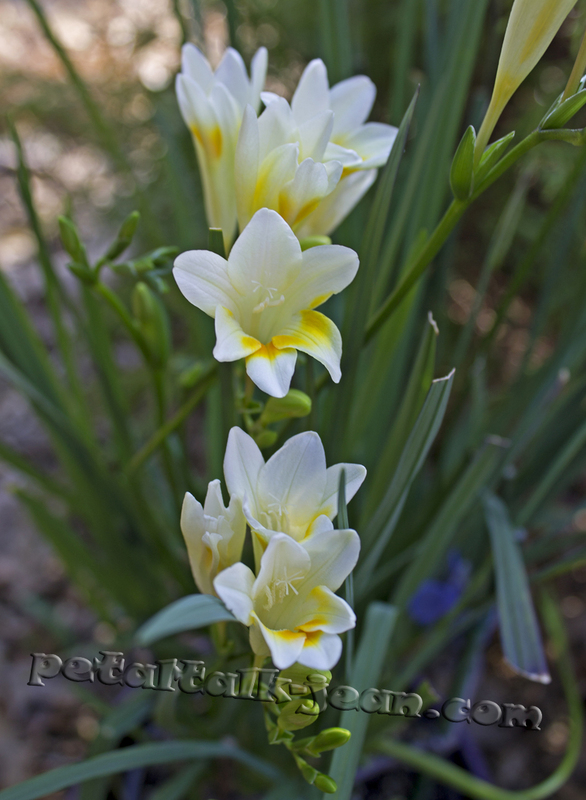 A match made in heaven occurred when I had unexpected success with a species Freesia. According to the botanists, this species is now called Freesia leichtlinii subsp. alba, meaning it's a subspecies of F. Leichtlinii. Whatever. I heard it was easier to grow than the colorful hybrids you see in bouquets, so I gave it a try. Amazingly, the pot of straggly leaves sent up some blooms in March! The only drawback is that I couldn't stand the smell. It's one of those scents that hit you like a ton of bricks, somewhat like paperwhites, which I also find offensive. I imagine if it were warm enough to put them outside, they might be enjoyable. I put them in the garage instead. I like the way you have broken up the year in quarters. Lovely flowers for first quarter.